Property is Australia’s biggest asset. Technology is transforming the way the world is viewed. Embracing these advancements, is the best way we at DTS can change the way we view the world for our clients. Through our aerial survey division, drone technology and with Civil Aviation Safety Authority (CASA) RPAS pilots we have given ourselves the ability to map from afar, the detail our clients require to enable informed decision making. Coupled with our existing surveying services, we now provide fully integrated mapping, modelling, and surveying capabilities that utilise the latest in laser measurement, GPS and photogrammetry. Whether your project is urban or regional, infill or broad-acre, private or public, you can rely on our skills and experience to deliver an innovative and cost-effective planning solution. 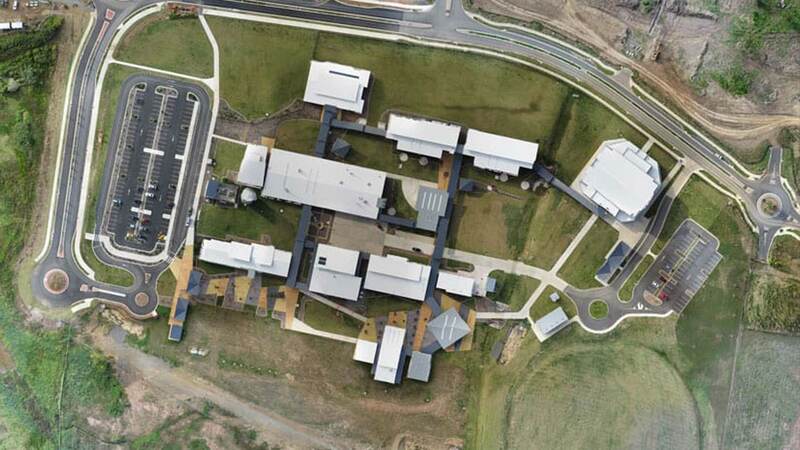 Aerial mapping can provide critical information relating to the rehabilitation of sites. The method in which data is captured, ensures the same vegetation can be monitored, mapped and analysed repeatedly over finite periods of time. Each analysis also provides imagery which enables the health and density of vegetation to be determined. This also enables trends in the health of vegetation to be established over time. Utilising the data capture techniques associated with drone technology brings significant efficiencies to data integration. Through the use of specialised software, have the ability to map in two and three dimensions the built form of established urban areas. This ability extends to the provision of data in Google Earth compatible files which enable real time viewing of data whilst on site – a huge advantage when developing within constrained locations. The drones capabilities are fully utilised when it comes to the mapping and delineation of features for civil design. Capable of mapping up to 25Ha an hour coupled with achievable accuracies of +/- 25mm, the drone introduces unrivalled efficiencies. In addition to aiding design, the ability to analyse and determine earthworks volumes ensures progress claims can be verified quickly and concisely with ongoing repeatability. Safety is paramount within any mining environment. Our drone technology significantly reduces the time our surveyors spend on site and removes them from precarious situations. Additionally, capturing data from above means there is no downtime whilst surveyors move around a pit as is the case with conventional instruments. Productivity and the rate of data capture also introduce significant cost savings over the life of a project. Drone technology can be a key element in boosting yields, cutting costs and maximising the time spent on areas of need. The high resolution imagery highlights exactly which areas of crop need attention and examination. Additionally, the data enables the application of algorithms such as the Normalised Difference Vegetation Index to determine the reflectance and relative health of a crop. With the ability to capture large areas of land in short periods of time, drone technology enables the analysis of linear infrastructure corridors to optimise their alignment. The combination of three dimensional modelling coupled with highly accurate imagery ensures that decisions are made only after consideration is given to all aspects of an corridors characteristics. Interested in usingunmanned aerial surveying for your project?